Well, the title says ube – the tagalog word for purple and also the tuber from which my kids’ favorite cakes are made (purple yam) but this cake didn’t really turn out purple. If any there’s just a hint of lavender to it. Teehee. I can’t remember the recipe I used I just added in the ube powder to the batter and it ended up quite moist and soft. We love it, even the husband who rarely eats cakes. 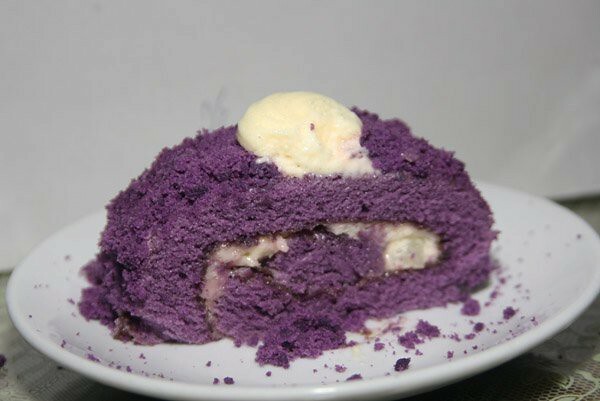 This is how a sliced ube roll looks like…this one also has macapuno, a Philippine variety of the coconut palm that does not contain water inside the coconut shell and with soft jelly-like “meat.” We would simmer it with water and add some sugar to get a sticky-yummy consistency. I truly miss how creative and diverse we Filipinos could get with food, not just cakes but ice cream flavor – combination too! I say “daring!” That’s what we are. Anyway, here is an ube cake recipe that I would love to make. Am sharing this with you and in a way to remind myself to bake it in the near future. lol. I got this from Heart of Mary. I am not taking credits for this recipe so for the procedure please click here. Can’t wait for my free time, I’ll totally try this. 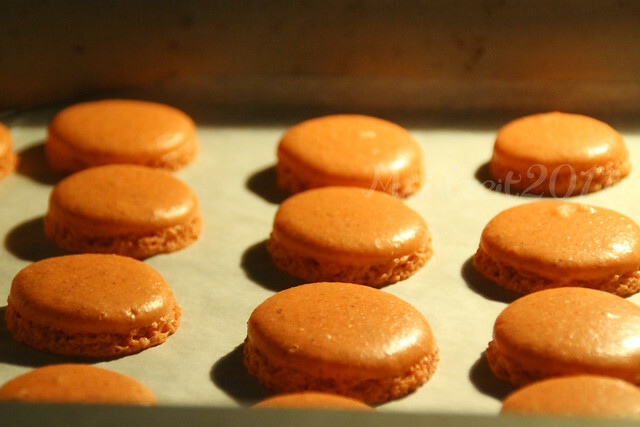 In making macarons, you need to start at least 3 days before…or longer. The eggs should be aged, leaving it in the fridge for at least 24 hours will make it more elastic – less air makes for smoother crust. 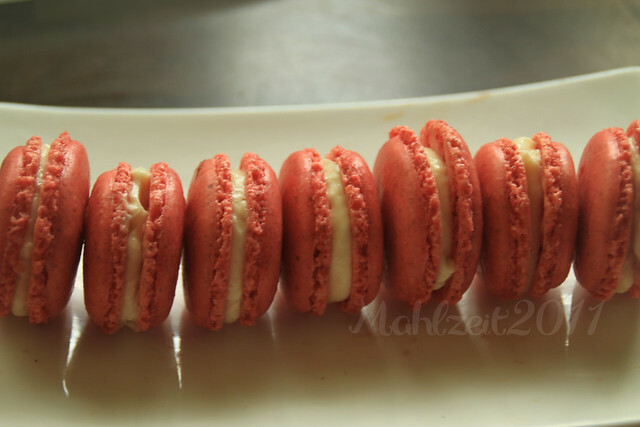 Macaron is rightfully derived from meringue, alright – it could be French, Italian or Swiss. French meringue uses fine white sugar which is beaten into egg whites. Italian meringue is made with boiling sugar syrup, instead of caster sugar. Swiss meringue is whisked over a bain-marie to warm the egg whites, and then whisked steadily as it cools. During our last attempt I used Italian, this time it’s French and I like the outcome. For the ingredients please refer to previous post. For making macarons you’ll need a digital scale, mixer, bowls, spatula and scraper, piping bags and a round nozzle, baking tray and papers. – Make circular patterns on baking papers – where you pipe the batter later. You can buy a macaron template too for this, at the moment I don’t know where to buy them. – Sift 180g almond meal and 270g icing sugar (Confectioners’ Sugar or Powdered Sugar) together (this is your tant pour tant). Set aside. -In a mixer, beat the egg whites at high speed slowly reducing to medium speed. Add in the caster (refined sugar) while the mixer is at medium speed, beat until stiff (this is your meringue). – Fold the tant pour tant and meringue. At first I did a method of folding them in with counting…that was before a kind soul posted a comment with a link on the video of how Jill Collona, the author of Mad about Macarons. 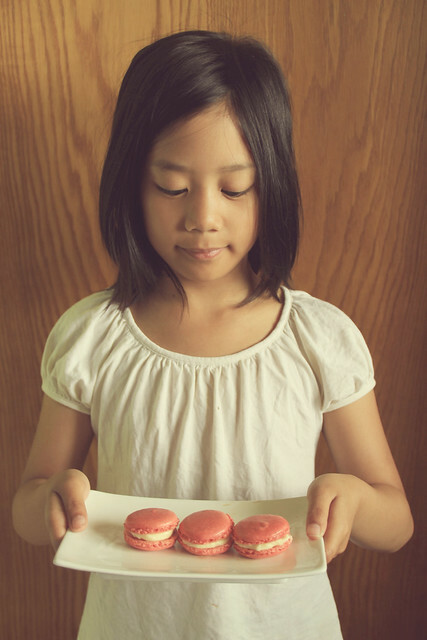 In the video, Jill showed the secret to making smooth macarons by removing oxygen in the batter with the use of a scraper. True enough these batch despite me not using a nozzle and piping bag turned out smooth enough. – Put the batter in a piping bag with a small tip nozzle. Pipe the mixture onto the baking paper, not exactly the size of the circle as it will “run.” Leave the macarons aside so that they dry up a bit and that they form skins, about 30 mins or so. 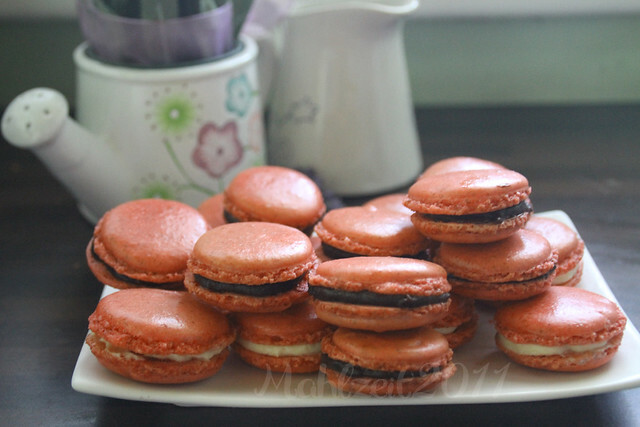 – Depending on your oven, bake the macarons. I said depending because I’ve tried a lot of times and though some said to leave the door ajar, mine turned out hollow when I do that. So what I did was to keep the door closed but I lowered the oven to 150°C. I baked them for around 12 minutes, taking them out once to turn the tray. You can also check by touching a piece and you’ll know that it’s ready when it’s dry. – When they’re ready get them out of the oven and leave to cool a bit. Slide them off the baking paper, find matching pieces and turn upside down (at least half of them). They’re ready to be filled in. Put chopped 230 grams chocolate in a heatproof bowl. Bring 180 ml cream to a boil and pour on chopped chocolate. Put 30 grams butter and combine well. Let them cool and have them fill in two shells. Combine 4 cups confectioners sugar with 1 cup unsalted butter and 1 teaspoon pure vanilla extract, mix them in together and slowly put in 4 tablespoons milk or light cream until you achieve a buttery consistency. You’re ready to fill them in to. 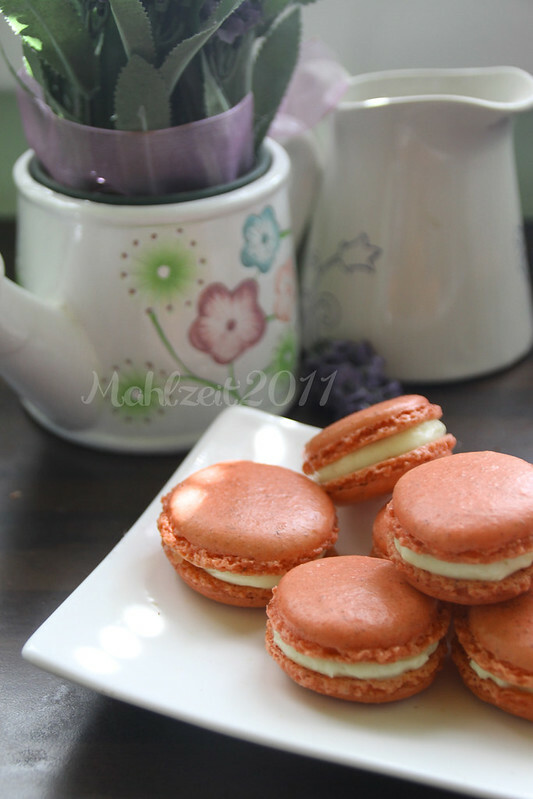 Let the macaron cookies, fille up anf all rest and put them in the fridge for a day. This will make the filling put more flavor on the shells. Let them out at least an hour before serving. 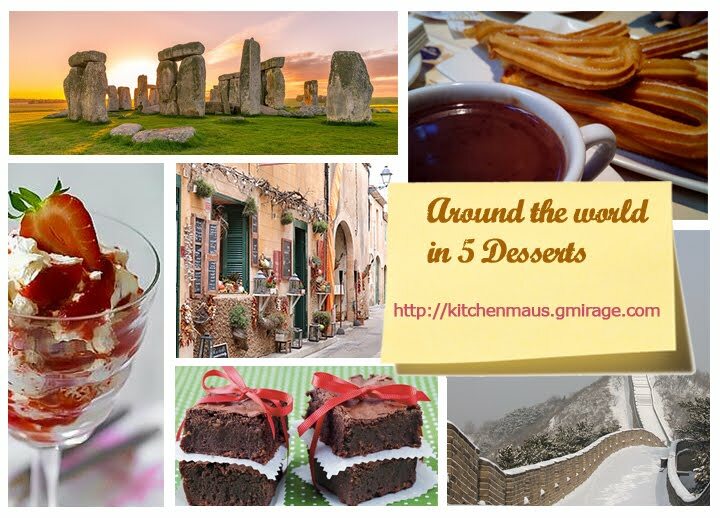 For: Yummy Sunday, Weekend Eating, It’s a Keeper, Recipe Swap, Fat Camp Friday, Friday Potluck. Finally, I can proudly say that after a lot of trials and using different recipes, we did it! We’ve made macarons and it’s easier than before, they developed lovely feet and were crunchy outside but very soft in the inside. We tried both ganache and confectioner’s frosting for filling…both tasted awesome! Again, let me differentiate that this macaron is almond cookie as there is macaroon – made of coconut. We always get excited when we see these cookies develop feet. It’s about the 5-minute mark when they appear and it means that I have to turn the tray – for them to be baked equally on each side. The photo above reminds me of one of the funniest quips I ever read. 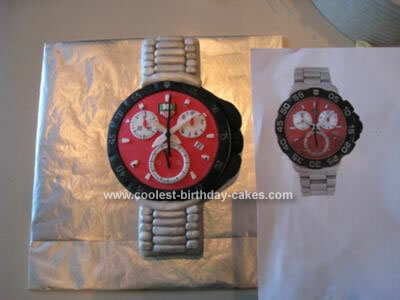 An online friend’s cake business has really boomed the past year. Sheer talent, that is, made everything possible for her. 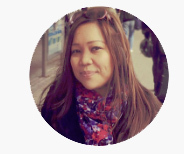 She makes the cutest cakes out there, give her a request to make you a cake of your favorite cartoon character, a theme for a director’s party, and she’ll surely get the job done. She has had a number of celebrities for customers and it makes her all the more popular in the cake/pastry industry. Too bad, she’s quite far from where we live. Like I haven’t told a thousand times how we love macarons. Here is another attempt of a different recipe and though the shells weren’t as shiny as the last time, they definitely developed lovely feet and they grew! For the recipe I followed Honey and Soy‘s religiously except for the meringue. It tends to be a bit runny if I put all of the meringue so I put in a bit at a time getting a feel of the texture of the batter to the right consistency. 1. In a mixer, combine TPT and egg whites, mix with a spatula to achieve a smooth paste. 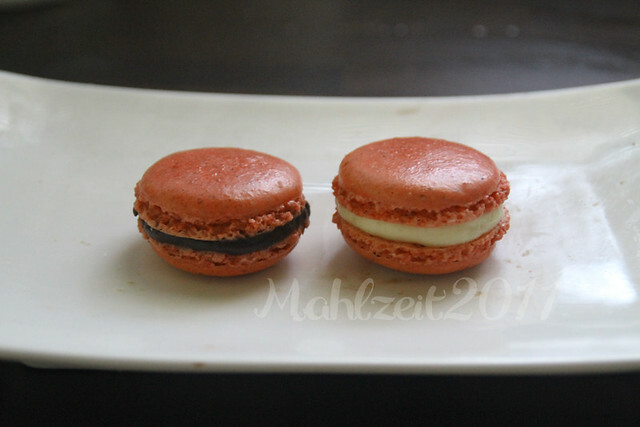 There are tips given by experienced macaron makers (chefs) that about 50 times only should the batter be mixed. More than that and it will make the batter runny. So I didn’t mix it that well as I still have to put the meringue later on. 2. Heat oven at 160°C/325°F. Place the egg whites (from the second ingredient group) in your mixing bowl. In a sauce pan, mix sugar, water and food coloring and bring to a boil. Honey and Soy specifically said that when the mixture gets up to 115° you should start mixing the egg whites to soft consistency. Continue mixing, when the sugar and water reaches 118° pour it on to the egg whites and continue mixing for 3 minutes. Let the meringue cool, Honey and Soy suggested 50°. 3. When the meringue is cool enough, combine it with the tpt-egg white mixture. Mix with spatula from the sides going to the middle. (This could be heavy for my arm lol). Mix until you reach a shiny mixture. 4. Put the batter in a piping bag with a small tip nozzle. Pipe the mixture onto the baking paper, not exactly the size of the circle. 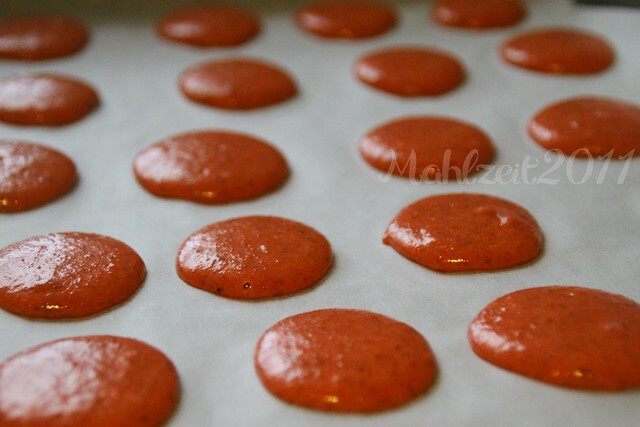 Leave the macarons aside so that they dry up a bit and that they form skins, about 20 mins or so. 5. 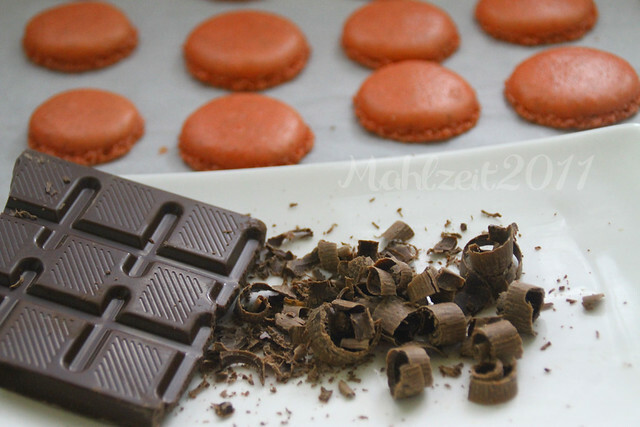 Depending on your oven, bake the macarons. I said depending because I’ve tried a lot of times and though some said to leave the door ajar, mine turned out hollow when I do that. So what I did was to keep the door closed but I lowered the oven to 150°C. I baked them for around 12 minutes, taking them out once to turn the tray. You can also check by touching a piece and you’ll know that it’s ready when it’s dry. 6. When they’re ready get them out of the oven and leave to cool a bit. Slide them off the baking paper and turn upside down (at least half of them). They’re ready to be filled in. Put chopped chocolate in a heatproof bowl. Bring cream to a boil and pour on chopped chocolate. Put butter and combine well. There’s of course a much delicate way of doing this but will do. 🙂 It’s better to do the filling first so it will set before you put them between your macaron shells. 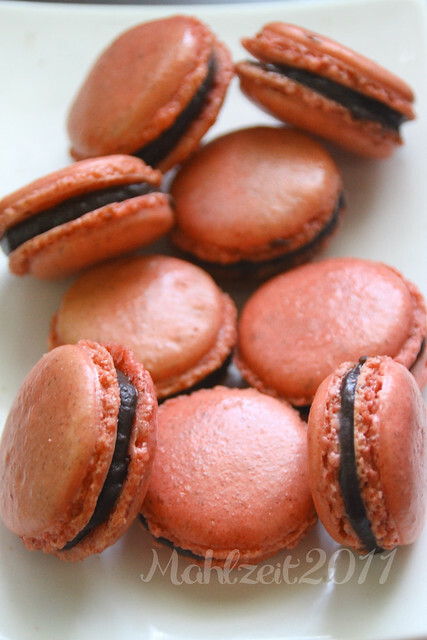 When you put the filling on top of one, make sure that it doesn’t get to the edge…sandwich the ganache being careful not to let them out…Let the macarons stand a few minutes then put them in the fridge and let to room temperature before serving. -Have someone help you if you’re not using a stand mixer. -I should have remembered that I lend my nozzles and fixer to a friend. I improvised this time. Related story and more photos here. A post for Weekend Eating, Tuesdays at the Table, Delectable Tuesday, Tasty Tuesday.